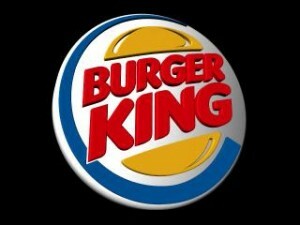 Burger King, the popular fast food giant went public again in 2012 after being privately owned by a privately owned equity group called 3G Capital. After analyzing the numbers of Burger King’s quarterly reports from last year, it is apparent that the company is heading in the right direction after comparing the first quarter earnings this year from a year ago. Last year the company reported its first quarter earnings at $14.3 million compared to $35.8 million this year. So with these numbers on the rise, can the fast food giant compete with other companies such as McDonald’s and Chipotle while also being a valuable investment for its shareholders? Well it looks like Burger King has a solid structured plan to make ends meet and come back to being a household name again. Last week the company sold its Canadian subsidiary, which owned 94 stores, to privately owned Redberry Investments. Now the company is planning on focusing on their operations in cutting costs in turn to making their sales more profitable. Another plan is to revamp 40% of their restaurants which will have a new 20/20 design and a change in lighting and seating arrangements. In order to increase the number of stores the company is promoting third-party financing opportunities as well as a 50% discount on the annual franchisee fee for their franchisees. Lastly, the company is focusing more on aggressive advertising techniques in order to promote their new valued items. These new strategies are from the article cited below and I should mention that Burger King has seen little changes to their menu from 1989 and 2012. Other restaurants have introduced healthier food choices for their customers such as smoothies, specialty salads, wraps, yogurts, etc. It is obvious that the success factor of any restaurant is the quality of food it serves. Many sales at Chipotle are single burritos, burrito bowls, and tacos which can range from $7.50 to $9.50, depending on whether you want to upgrade your food with their delicious homemade guacamole. Keep in mind, Chipotle is a new restaurant that has come out in the last decade. It is also very appealing because of being considered a healthier option than most fast food restaurants. This is one of the reasons that Chipotle stock is currently being traded at $360 per share! Most of us have witnessed the long lines at the Chipotle across from the DePaul Center in the loop. So why do most of us insist on waiting sometimes up to 15 minutes for a burrito that costs on average around $8 rather than going to Subway or McDonald’s across the street and buying a meal that would surely cost more? Clearly, Chipotle’s plan is successful, so how does a fast food giant like Burger King raise its value and compete with all the other fast food giants? The secret ingredient to that recipe is innovation! But what must they innovate to attract YOU personally?